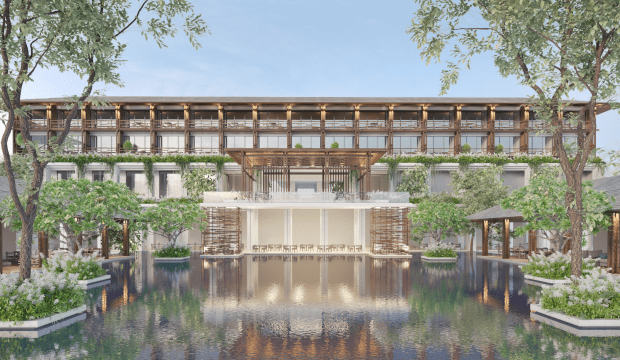 Air & Odor Management (AOM) is proud to be the chosen Indoor Air Filtration partner for Meliá Cam Ranh Bay Villas & Resort in Vietnam. We are honoured that our electronic air filters will be providing clean indoor air for the staff and guests at the premises of Spain’s leading hotel group. Set to open later in 2018, Meliá Cam Ranh Bay Villas & Resort will capture both the Cam Ranh Bay and Nha Trang markets and will position Meliá as a leading hotel in this developing area. Situated on the south-eastern coast of Vietnam, Cam Ranh Bay is emerging as an integral MICE and vacation destination. Located only kilometres from the Cam Ranh Bay International Airport, the resort will be easily accessible by travellers. Key attractions including the Tu Van Pagoda and Binh Ba Island are also within close proximity of the hotel, making Meliá Cam Ranh Bay Villas & Resort a prime vacation destination. Every one of Meliá Cam Ranh 200 rooms will have sea views and each of the 100 villas, measuring up to 400sqm, will feature private infinity pools. AOM is pleased to be recognised as a leading provider of Indoor Air Quality solutions in the Southeast Asia region by Meliá Hotels International. We look forward to extending the benefits of cleaner air and greener environment to more developments in the future!